Managing a successful business in today’s fast paced environment requires a banking partner with safe, reliable and time saving solutions. As an example: Rondout Savings Bank offers some of the area’s most competitive merchant account rates in the area. Rondout Savings Bank has formed an alliance with TSYS to offer you a full service credit card acceptance program to meet your business needs. Whether you are a new or established business, a Rondout Savings Bank representative will assist you with evaluating your credit card processing needs. Competitive rates and equipment options will be provided to you within 24 hours and your account can typically be set up quickly. Credit card acceptance is proven to increase your business sales volume. Expand your payment options today by accepting credit cards, and watch your business grow. 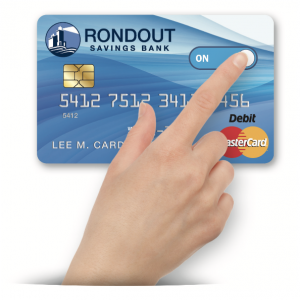 Remote Deposit Capture allows you to scan checks and transmit scanned images to Rondout Savings Bank for posting and clearing. Save time by not having to send an employee to one of our branches to transact business. The basic requirements for this service are a PC, an internet connection and a check scanner. Checks you receive at your location can be scanned to create a digital deposit. This digital deposit is then transmitted over an encrypted internet connection to Rondout Savings Bank for clearing and posting. With ACH, businesses can make electronic funds transfers from the convenience of their desktop. This service allows you to create, upload, import and submit ACH files to Rondout Savings Bank for further processing. *Not a payroll services provider. Access your checking or statement savings account with either debit or ATM card. Your Rondout Savings Bank Mastercard® Debit Card allows you the convenience to use your card anywhere Mastercard® cards are welcome. Get cash from your checking account at thousands of ATMs worldwide and have access to more than 35,000 ATMS nationwide – surcharge free! In today’s fast –paced environment, clients are looking for more from their community bank – great service and technology that provides innovative convenience. Imagine getting ready to leave for a trip when you notice you can’t find your debit card? You don’t have time to order a new card and wait for it to arrive in the mail. Rondout now offers Instant card issuance that provide our clients with new Mastercard® debit cards on the spot, in all branch locations. From the time you apply for a card, the process takes less than a minute and you walk out with your debit card in hand. It’s that simple! To report loss or theft of your Mastercard® Debit Card please contact anyone of our branch locations at 1 (844) 890-6189. With BankFromHome, Rondout Savings Bank’s Online Banking service, you have the freedom to access your accounts when you want and where you want. This great service provides convenience and flexibility and provides access to your accounts directly from your computer, 24 hours a day, seven days a week! There is no software to buy, no fancy equipment necessary. All you need is a computer and Internet access using a browser that supports 128 bit encryption to use this great service. Managing your finances has never been easier and it is in a totally secure environment. To activate Online Banking, click here. This will bring you through a guided enrollment process which is completed in a matter of minutes. At Rondout Savings Bank, online security is an important part of the commitment we made to our customers to keep your accounts and personal information safe. For that reason we recently added an additional layer of security to our online banking products called two-factor or multi-factor authentication. It is designed to keep your information secure while at the same time protect you from fraud and identity theft. It also allows Rondout Savings Bank to verify you as our customer and allows you to verify you are banking with us. You can simplify your accounts payable process by electronically scheduling and arranging payments to your creditors or anyone else. Rondout Savings Bank is here to provide for all your online banking needs in an easy, convenient and secure way. No need to visit or call the Bank – or to wait a whole month to receive your statement. We make it easy to review your financial transactions online when it’s convenient for you. So whether you need electronic statements, to transfer funds or pay bills, it’s all right here at your convenience, 24 hours a day, 7 days a week. We understand that conserving paper and other precious resources is important to our customers. To help our customers practice green banking, we offer eStatements free of charge. No paper to throw away, safeguarding your financial information. eStatements are password protected and reduce the risk of your sensitive information being lost or stolen and misused. Stored electronically, your bank statements are off your desk and organized electronically. Why wait for your statement to be printed and mailed each month? Your eStatement will be available to you within 48 hours of the end of the statement cycle and at no charge. Once you sign up for eStatements, we will send you an email when your eStatement is ready to view and download. Then you simply login to your online banking account to retrieve it. It’s that easy! eStatements look exactly like your paper statements; they include all the same check balancing information and check images. eStatements are stored securely for 18 months from the date they are posted for convenient future reference. Want to store your statements permanently? You have the option of downloading your eStatements as a PDF and storing them on your computer, or another storage device, for future access. To access, download, and print eStatements, you will need to have access to Online Banking. You must also have Adobe Acrobat Reader which can be downloaded through eStatements. Login to your Online Banking account. If you are not yet enrolled in online banking, click here. Once you are logged in to Online Banking, click on the eStatements link at the top of the accounts page. Read the eStatement Disclosure Agreement and click the “I Agree” button. Choose the accounts for which you would like to receive eStatements and click the “Next” button. Confirm that all the information is correct and then click “Enroll”. This feature lets you take control of your Mastercard® Debit Card and protect against unauthorized use. If you have misplaced your card, turn it to the OFF position. If you find it, and feel your account has not been jeopardized, turn it back to ON and continue to use your card. Turning your card OFF only impacts future debit card (point of sale and ATM) transactions. Any previously authorized transactions will be paid, and any recurring transactions you had previously set up will still occur. Turning your card OFF will not affect your checks, mobile or internet transfers, bill payments, or any other type of transactions in your account(s). If you use your card infrequently, or are traveling without your card, turn it OFF. Then turn it on when you are ready to use. You are in control. Your mobile application shows you whether you card is ON or OFF. With Mobile Banking, Rondout Savings Bank’s BankFromHome Online Banking service, can be in your hand via your mobile device 24 hours a day, seven days a week. To be activated for Mobile Banking first you must have Online Banking, to set up Online Banking click here. Once your online Banking account is set up, search and download the Rondout Savings Bank app in the App Store or in Google Play. After the app is downloaded to your mobile device use your Online Banking username and password to sign-on. Make the switch to Rondout Savings Bank, always working for you and our community. We make the switch easy! Thank you for choosing Rondout Savings Bank. We are dedicated to ensuring that your transition is a smooth one. Open a Rondout Savings Bank account. Review your last few statements and identify all automatic payments and automatic deposits. Keep in mind that not all automatic payments that you have previously established occur on a monthly basis. For example, insurance payments, some utilities and federal and state tax returns/payments can occur on irregular intervals such as bi-monthly, quarterly or even an annual basis. Prepare to move your direct deposit by using the Direct Deposit Information Sheet. You may be asked to fill out an additional form by the company making the direct deposit. To transfer social security direct deposits, you can either call Social Security Administration at 1 (800) 772-1213 or visit the Social Security Official Website. Set up new automatic payments. You can use the Authorization to Change Automatic Payments Letter, or consider Rondout Savings Bank Online Banking with free bill pay as an alternative that gives you more control over your money. If you are setting up more than one automatic payment, make additional copies of the Authorization to Change Automatic Payments Letter for each automatic payment. You may be asked to fill out an additional form by the company making the automatic payment. Confirm all checks have cleared and all automatic payments have been transferred to your new account. Leave sufficient funds in your former account to cover any outstanding checks or pending automatic payments. Complete the Account Closure Request Letter and send it to your former financial institution. Some financial institutions may require you to fill out additional forms. If your account is an interest-bearing account, request to have your accrued interest paid prior to closing. Destroy any unused checks, ATM/debit and credit cards, and deposit slips associated with your former accounts. We can destroy them for you if needed. Start using your new Rondout Savings Bank account exclusively. Remember to keep a copy of all documents, letters and forms for your personal records. Consider making your financial life less complicated by transferring other accounts to Rondout Savings Bank. We offer a complete line of banking products including mortgage services. With all of your funds in one place, your banking will be easier. Our banking team will be better able to help you manage your finances and find ways to make your money work harder for you. Call us at (845) 331-0073, or visit one of our branches and we will be happy to assist you.